Dennis sent us this fun video of Jesse going after his brush. 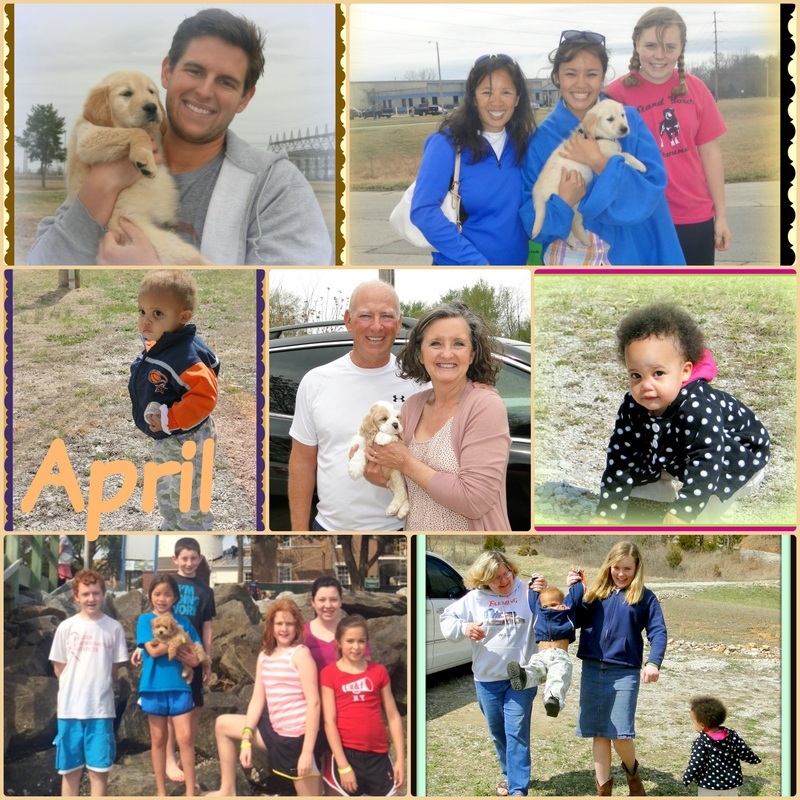 Jesse is definitely a very loved puppy!! Maryann and Grace, Happy New Year to you both! 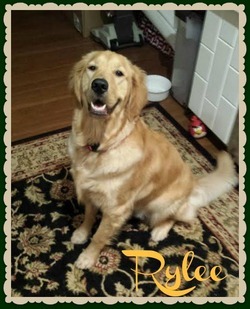 As you can see from the attached photo, Rylee (formally Love) is doing just great! She has grown into a big, beautiful girl. She turned 11 months old yesterday and received a special treat with her breakfast as she posed for the picture. She is a very happy, perfectly healthy, and very smart young lady. She gets loads of exercise every day and has a 7 year old Black Lab to play with. She loves to run (she’s so fast) and play fetch (until my arm falls off) and she loves to ride in my car (with the top down) or in the truck up front next to me. When we go to the dog park she has to meet and greet EVERYONE there and she is universally loved by everyone she meets. She is just a great dog and has been a wonderful addition to the family.